Claire is a Solicitor within our Wills, Trusts and Powers of Attorney Team. Her areas of expertise include the Administration of Estates, Deputyship and Court of Protection applications and Lasting Powers of Attorney. 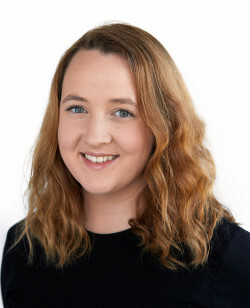 Claire joined Leathes Prior as a Trainee Solicitor in 2013 before qualifying into the Wills, Trusts & Powers of Attorney Team in September 2015. She undertakes work in all areas of Wills and Trusts including the preparation of basic mirror Wills, Life Interest Trust Wills and Discretionary Trust Wills, and the preparation of Trust documents including setting up family Trusts, arranging the distribution of assets out of Trusts, bringing Trusts to an end and advising Trustees on their duties. As well as drafting these documents Claire can provide advice on making these arrangements in the most tax efficient way and can also offer advice regarding care home fee planning. Claire is experienced in Estate administration and has represented the Executors/ Administrators of a variety of Estates including particularly valuable Estates, insolvent Estates, Estates with assets held abroad and estates where there is no Will. Other specialisms include Court of Protection work including Property and Finance Deputyship applications, Health and Welfare Deputyship applications and any other applications to the Court surrounding these roles. Claire volunteers at Age UK providing free legal advice to some of the most vulnerable and isolated members of society. Thought I would drop you a quick note to provide some feedback on my family's engagement with you on handling my mother’s probate and in particular Claire Woolliscroft. Throughout the whole process Claire has been very responsive and professional. If I ever needed to clarify anything Claire made it very clear and concise on what options we had and next steps. Working in customer support, I stress to my team the importance of going the extra yard for customers and making sure they have a great customer experience which in turn hopefully leads to repeat Business. That has certainly been the case here and I will have no hesitation in recommending Leathes Prior to family and friends. Great job well done!